Check-In for your RYANAIR return flight is possible with us! 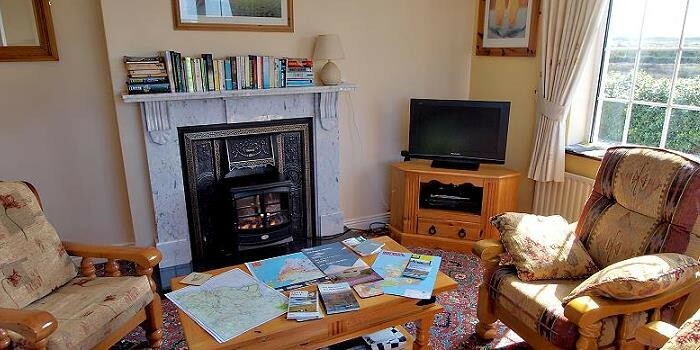 Lisdoonvarna Matchmaking Festival: B&B available in September! Please visit us on Facebook for up-to-date information, special offers and more pictures! 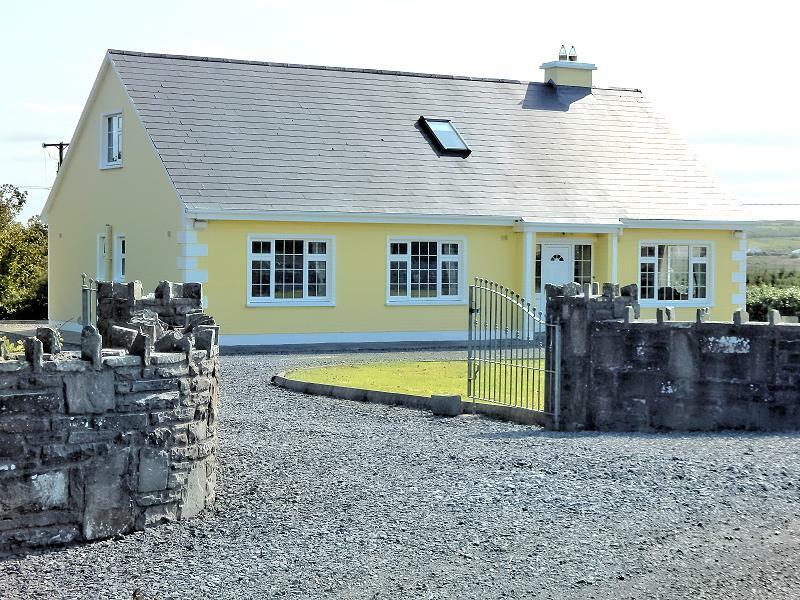 Doolin Breeze Holiday Home a superbly spacious and extremely comfortable holiday home. A magnificient ambiencee prevails throughout the entire cottage. Large windows flood the house with sunshine and natural light as well as giving a real life feeling of the green pastures and fields that are literally as the doorstep. The house is located approx. 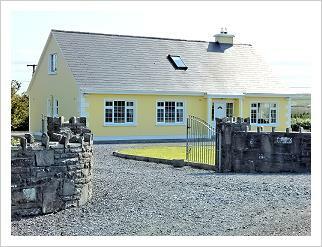 2 kms outside the spa town of Lisdoonvarna, and 4 kms from Doolin, County Clare, Ireland. 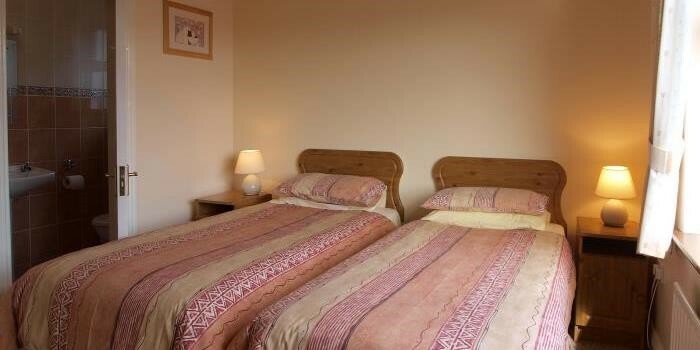 The superb seaview includes not only the Atlantic, but also the area around Doolin and the surrounding country side. Doolin is famous for its 'craic' with traditional Irish music sessions, and for its magnificent seascape. Lisdoonvarna has a variety of hotels and pubs with traditional and modern music sessions most nights. The location is a central touring base for the attractions of Galway, Limerick and Clare. Nearby are the Cliffs of Moher, Burren National Park and Aillwee & Doolin caves. Activities include walking, cycling, horse riding, fishing, golfing, surfing, bird watching and boat trips to the nearby Aran Islands. 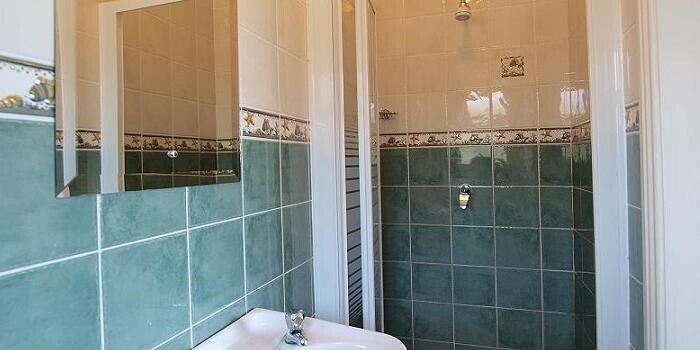 Up to 6 people can be accommodated comfortably in the 3 bedrooms - all on the ground floor and all en-suite with shower/WC. 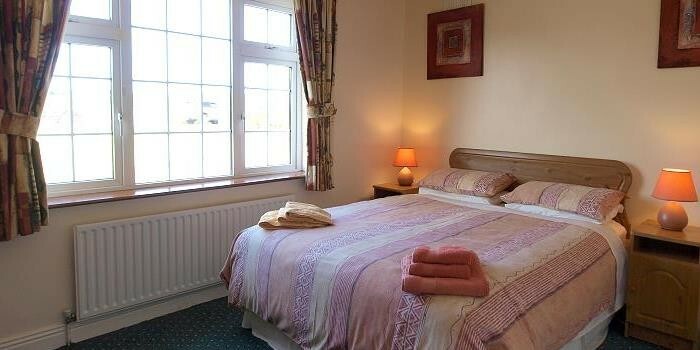 All bedrooms are furnished with back-care beds to provide for maximum sleeping comfort. The enclosed lawn around the house with a picnic bench is ideal for fine days. Private off-road parking is in front of house. 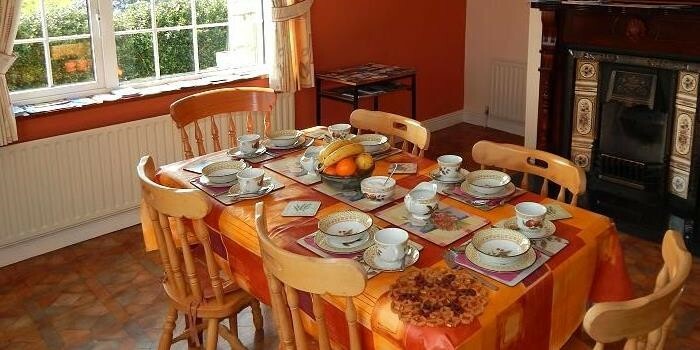 Bed & Breakfast available during Match making festival in September! 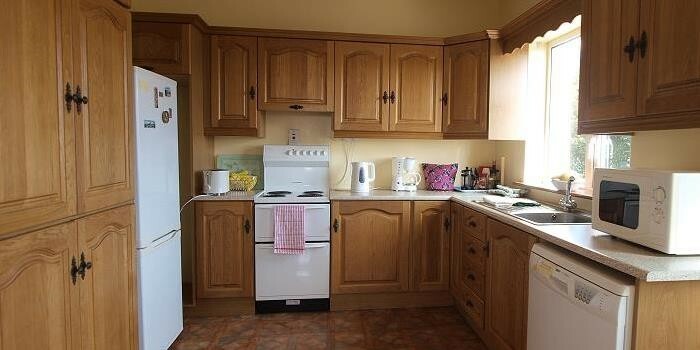 Please have a look through the following pages to find out more about this lovely rental property.